We have have a unique setup at Willow where we have a team called Campus Care and they do more than just clean the facility and take out the trash. One of their major roles is to provide AV support for venues in our building that don’t have permanent audio and video systems. For about 10 years, this team has been working with about 7-8 audio systems that consisted of an Allen & Heath mixer and a CD and or tape player. These racks were in a large rolling cart that would be moved around the building. For speakers, they had Mackie 450s with Ultimate Support stands. 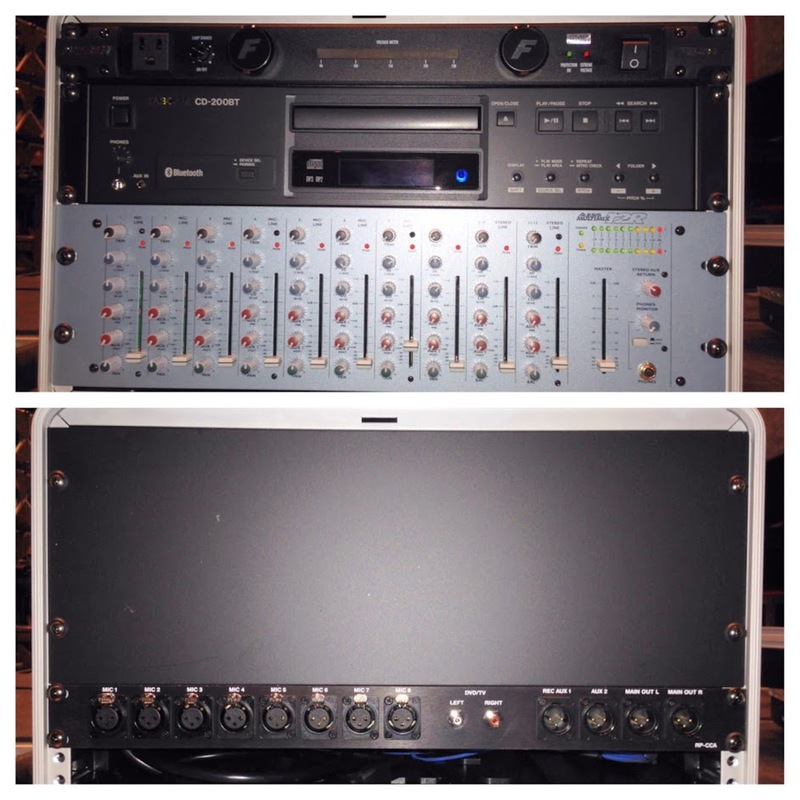 These systems provided great support for many years, but over time started to fail, faders were broken, outputs crackling, speakers buzzing; it was time to give that team an overhauled system. There were several goals when thinking about a new solution, cost-effective so that when gear breaks, it doesn’t cost a ton to replace, the speakers needed to be lightweight so that a teenage girl could setup the system, they needed to fit with our new standardized in room systems. 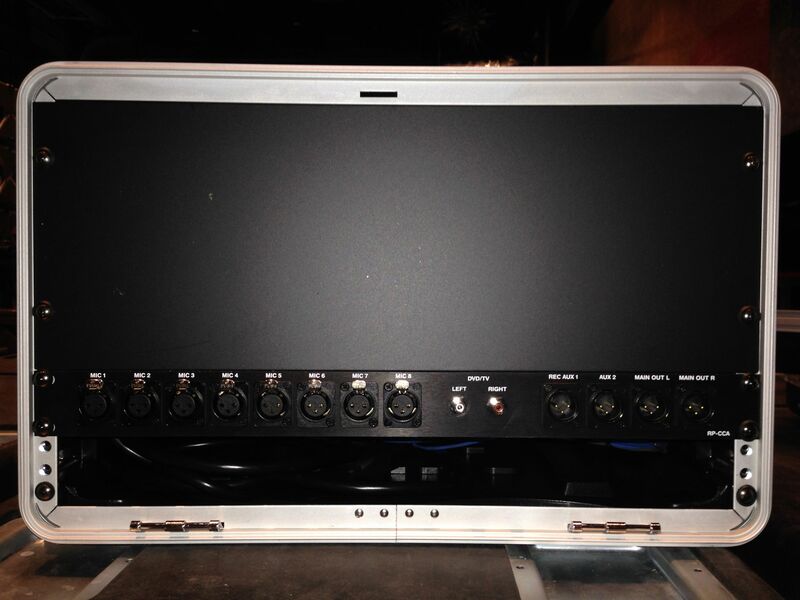 We are deploying a standard rack mounted mixer in our non-production spaces and the same CD/iPod player in all of our spaces, production and non. I’ve found that the Alesis Multimix 12R has enough inputs and outputs for these spaces and needs of the room. 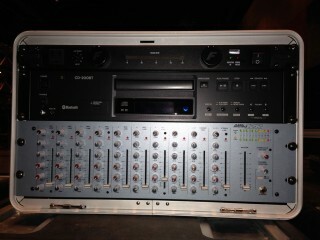 The standard CD/iPod player is either the Tascam CD-200iB or CD-200BT. 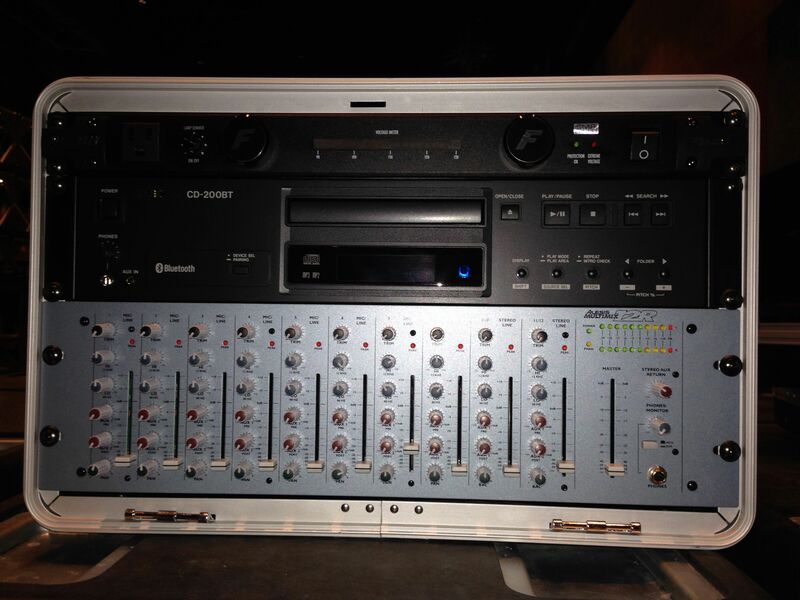 For the Campus Care racks, I chose to go with the CD-200BT because of the variety of end-users, I figured the ability to have Bluetooth instead of only Apple connectivity was important. I also have an 1/8 TRS cable plugged into the AUX jack on the front of the CD-200BT. To keep the 1/8″ cables from walking off, I used a P-clip and secured the cable to the rack. For the speakers, I did several beta tests before I landed on the final product. I really wanted to go with the Yamaha DXR8s because they are pretty robust, sound great, and are still lightweight (30 lbs). I was able to get 2 demo units and have the Campus Care team tried them out. The two downsides of these speakers for our application is that they were still too heavy and because the finish is smooth and there weren’t any handles on the sides, the teenage girl still had a hard time putting the speakers on the stands. So I went with the Yamaha MSR100 which are great little boxes, perfect size, lightweight (24 lbs), and loud enough for being setup in classrooms. Even though there still isn’t side handles, the 6 lb difference made it easier to hoist onto the stands. The only bummer about the MSR100s is that there is no hole for the speakers stand so I had to add on an Ultimate BMB200K Bracket which keeps the speaker from being able to be set on it’s bottom, bit when they aren’t on the stands, they live on a cart on their backs. I also needed to have the output capability for any of the racks to be recorded so I created a 1RU plate that goes in the back of the rack. Then, AUX 1 is routed out to the plate and marked as REC AUX 1. The plate was a custom built plate from Panelcrafters. I had 20 of these systems built and deployed, each with 1 Alesis, 1 CD-200BT, and 1 Furman in a 6RU Gator case that sits on top of rolling carts. Then each system lives with 2 – MSR100s and 2 – Ultimate Support TS-90B stands. I also deployed 20 Whirlwind podDI which allows the Campus Care team to offer the ability to plug in a laptop or DVD player into the Alesis mixers. The Campus Care team is now set for the next 10+ years and can now offer a standard, future proof ready system.